This year during Deepavali celebrations at Parramatta on 3rd & 4th November, we are blessed by Sri SitaRama, Lakshmana and Anjaneya Swamy from Bhadrachalam (India), As you may know this year is Vilambi nama samvatsara i.e the year Lord Sri Rama was born and and it comes every 60 years. we will be celebrating Kalyanam (celistial wedding) and Pattabhishekam (coronation) with the vigrahas and priests from Bhadrachalam. We have a very special coin of Sri Ram Darbar minted to mark this special occassion by ABC Bullion for this Deepavali. 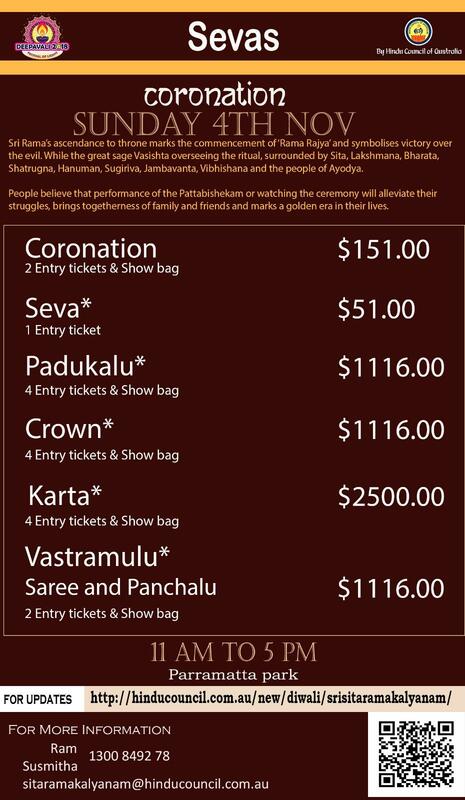 We are limiting to 1000 families to participate in donating towards the expenses for this events. The donation includes a special limited edition silver coin minted by ABC Bullion. 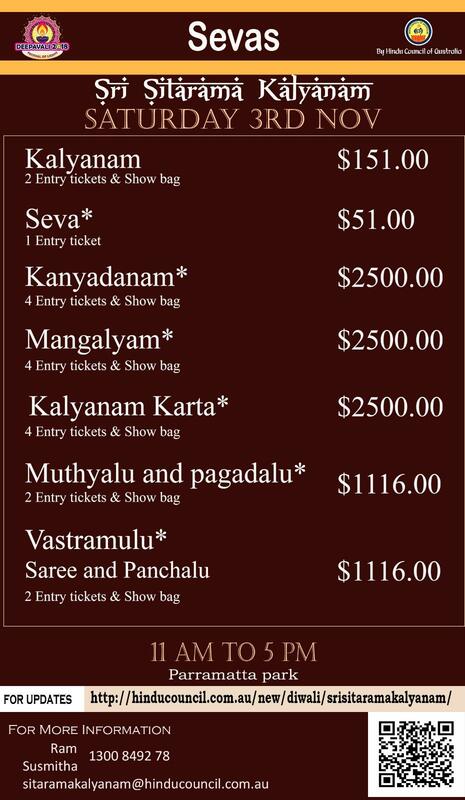 4 entry tickets and a bag with Akshitas , Rama koti book , Shawl and prasadam. Above all the blessings of Sri Rama Pariwaram and watch the traditions followed for centuries in Dakshin Bharath right in our backyard. A truly mesmerising experience not to be missed.